The most detailed, and perhaps the most original, idea is that gravity, which, for example, attracts or creates the impression of attracting bodies to the center of the Earth, is not due to any force of attraction, and depends on the percentage of one or other element. Gravity, like all other movements, is due to an initial displacement, violence or impetus: every action of this kind is called accidental. The description of the physical world thus acquires the character of true drama, whose tension Leonardo does not seek to alleviate through the vocabulary it uses. Gravitation and power generated by the impetus and collision act until they are exhausted, creating the impression that the real things are united by something invisible: "The weight is bodily and the powerless ... if one desires for himself the escape and the death while the other wants stability and perseverance. Everything comes down to dualism and to the opposition between the energy that unfolds and the matter that it engages. In the explosion it causes, the energy will find freedom, and with it its exhaustion, that is, death. And this is a universal law. Naturally, we may be hesitant about the exact meaning of the term spiritual applied to the original movement, first of all power, according to whether we perceive Leonardo as a follower of spiritualist metaphysics or a kind of pre-materialist. But more importantly in all these analyzes is the way in which the data from the senses is approached and the pursuit of a universal. Leonardo's artistic creed, and more specifically his painting, is one of the most difficult to study cases in the history of the arts. Its originality and radiance are obvious, and for some contemporaries it is a miracle. But many circumstances prevent and complicate the production of a complete catalog: damaged or missing works that are only mentioned; works that are not accompanied by documentation and therefore give rise to constant controversy over whether to be attributed to Leonardo; two versions of the same work; unfinished backgammon, too many copies. In the nineteenth century, some authors assembled around fifty paintings in a very confident way and attributed them entirely to Leonardo. Today, no serious artist can be categorized by fifteen canvases. A quick retrospective review is enough to find that the majority of the paintings created during his teen years by Leonardo have been restored to the nineteenth century, but the number of lost or destroyed works is enormous (at least seven), and the number of unfinished works (five) is also great. Leonardo's glory is built to date on a very small number of works with undisputed authorship - The Last Supper and Mona Lisa. Many paintings are attributed to him, but their authorship is uncertain, based on recollections. It should be noted that many of Leonardo's youth works have worked together when he was tied to Veroicio. Such are the works he created after 1500, since then, as a well-established master, he only worked on the projects, and the implementation was given to his students. All of Leonardo's work is tied to celebrations, holidays and private orders. He is an artist who subordinates to chance, without overtaking it or provoking it. But through his research and numerous sketches, he constantly prepares himself, so he has always been able to satisfy the desires of his guarantors or to perform the tasks assigned to him by church or secular institutions. Leonardo develops all genres: altars, paintings with religious stories, portraits, monumental compositions. He does not embark on revolutionary endeavors like his younger rivals, Raphael and Michelangelo. After leaving the collective work in a bottega and starting to work alone since 1479, he deliberately restrained his creative commitments to make all his efforts to surpass his predecessors. Today, we are surprised by the significant number of religious paintings, the few portraits and the very limited circle of "mythological" scenes that he has made - a "Leda" and a "Bacchus" that has not been available to us. In all his religious works Vinci has revamped the iconographic representation of the plot. He perceives the relationship of the Madonna with the Child as a mixture of tenderness and fear, as the child is presumed for the future suffering of the cross, and they scare the mother. The image of the devotional affection is replaced by the presentation of the complex psychological drama that culminates in the Madone aux fuseaux and Sainte Anne. The unfinished canvas "L'Adoration des Mages" carries the imprint of a sophisticated concept in which everything aimed at the blinding of the purifying radiance of the Child. In the same way, the production of "The Last Supper," which Leonardo prepares with detailed remarks, is completely redone. The various reactions of each apostle brought about by the words of Christ turn the symbolic scene into a dramatic event. Nice Post Buddy!!! Keep it up. 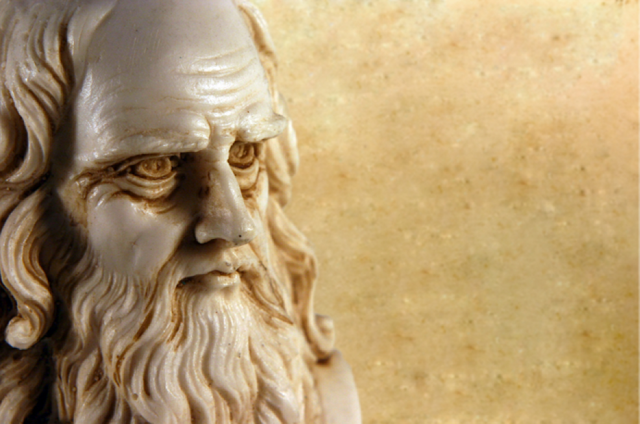 Leonardo da vinci the First Engineer who overtook projects and technology over few hundred Years. His creativity was better and more forward-looking than the smartest people living at our age. The only limitation for Leonardo da vinci was bad technology in his times. Respect for him please.